So like I said in my last post, my advertising account management class is giving me the opportunity to visit different ad agencies in the Portland area. The first one we visited was CMD Agency, which I missed, but I did get to go to HMH Agency! Established in 1978, Ed Herinckx is the current president and the one who showed us around. The agency has a nice layout. I appreciate ad agencies that take the time to present a nice design and showcase creative work and art. As soon as you walk in, there is a modern looking lobby with inspiring quotes on the wall. There was also a theme of using a deep red in their office, not entirely sure why but it made the place stimulating and inviting. HMH is pretty small compared to ad agencies as a whole. Their team is comprised of about 50-60 employees with offices in Portland, Bend OR, and Charlotte NC. They are a full service agency with plenty of experience and expertise. Their work includes major brands like Subway, Nike, and Doc Martens, as well as working with small Portland businesses like Habitat for Humanity Portland, NW Natural, and Oregon State Parks and Rec. 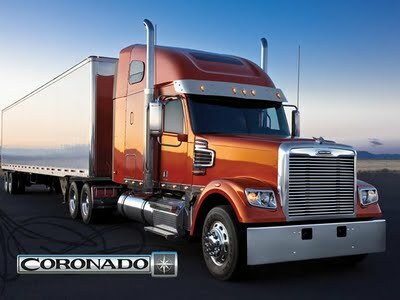 For me personally, their most inspiring work is the stuff they do for Freightliner Trucks. My dad recently retired from this company and their work reflects the craftsmanship, dedication, awe, and beauty that makes Freightliner such a great brand and truck company. Ed said during the tour, “Clients love agencies who love their products”, and when looking at their work with Freightliner, you can tell it was something they really enjoyed making. Leave a reply on "Agency Tour Review @hmhagency"